Having piqued the interest of listeners after the release of her Fig. 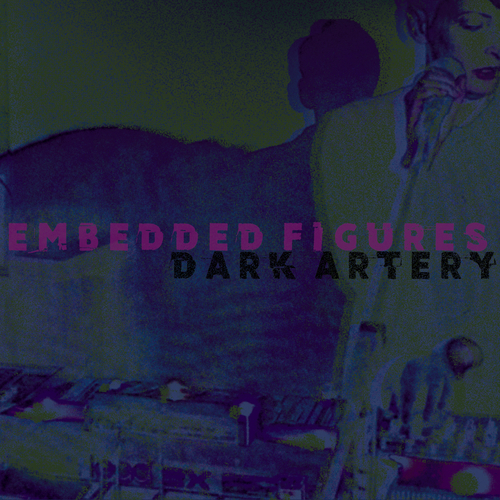 1 EP back in 2015, MUZAI Records is please to announce the signing of New Zealand artist Embedded Figures, with her debut album Dark Artery set for a release digitally and on a limited run of cassette tapes in October 2017. The solo project of Amber Skye, one half of coldwave duo Strange Harvest and one quarter of Auckland/Dunedin experimental hardwave quartet Rise of the City Cat Cult, Skye has been active in the underground Dunedin music scene since 2005 as described by her contemporaries as “an auteur of synth.” Her works have also seen appearances on college radio playlists in New Zealand, with previous tracks “Eve” and “Paradise Lost” appearing in listener-voted charts in the Southern Hemisphere. Dark Artery is a culmination of four years of live performance in New Zealand and Australia; a mix of darkwave, dance driven future pop that perhaps belongs in a Berlin nightclub circa 2040, Embedded Figures has paved a venomous, dark disco path in the NZ electronic underground without losing sight of deeply ingrained pop-chaos roots.